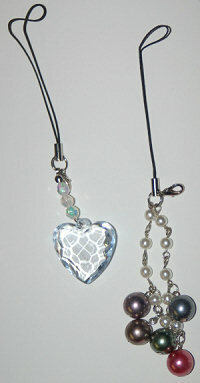 Cell Phone Charm - Heart and Beads Set. This set is 1 heart charm and 1 beads charm for your cell phone or to hang on your purse zipper ring or back pack ring. Very cute as a belt loop charm on blue jeans as well.